The Department of Industry and Trade of Ho Chi Minh City collaborated with relevant departments and industries to hold a meeting to summarize the price stabilization program in 2018 and set out plan for this year on March 29. At the meeting, Ms. Nguyen Huynh Trang, deputy head of the department, said that the price stabilization program in 2018 carried out from April 1, 2018 to March 31, 2019 attracted participation of many enterprises in the city with total prepared amount of goods higher than the plan. The program helped goods ensure supply even when there were fluctuations on the market. Total revenue of price-stabilized goods hit VND30.52 trillion in 2018 and 2019, up 9.84 percent compared to that in 2017 and 2018. 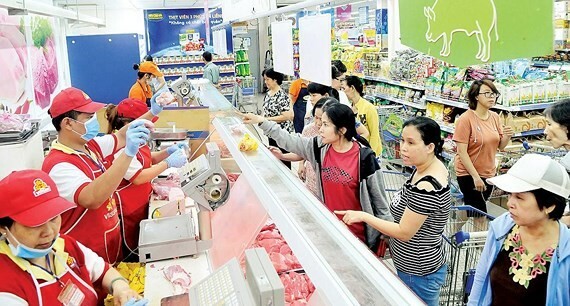 Because of the success of previous price stabilization programs, the city will continue to run the program this year to maintain balance between supply and demand on the market, contributing to social security and promoting consumption of Vietnamese-made products. The program was socialized so as to make use of the potential of social resources, creating conditions for resources to connect and stabilize macro-economy; and to ensure social security in accord with the socio-economic development orientation and international integration of the city and the whole country. There will be 79 enterprises participating in four price stabilization programs this year, consisting of 38 food and foodstuff suppliers, 11 stationery suppliers, 4 dairy producers, 14 pharmaceutical manufacturers and 12 credit institutions. Among the participants are large-scale enterprises with strong brand names which account for a majority of market share. 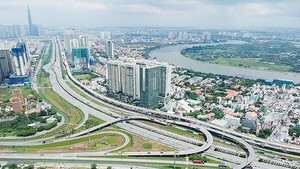 According to Mr. Pham Thanh Kien, director of the department, the city will continue to connect the demand and supply of goods, promote on-farm processing, build supply chains, support and create conditions for firms to improve production and trading capacity and encourage them to produce in accordance with market demand and signals. In order to do that, the department will constantly work with relevant departments and ministries to understand the actual demand hereby provide information for manufacturers to produce high demand products. Mr. Kien said that the department will encourage firms to join programs to produce products under VietGAP, GloablGAP and Organic standards, helping to reorganize production and create more clean food for the market. The departments of Industry and Trade and Tourism and the Food Safety Management Authority of HCMC signed a joint agreement for consumption of safe food and specialties at restaurants and hotels to serve tourism. Ms. Pham Khanh Phong Lan, head of the Food Safety Management Authority of Ho Chi Minh City, said that in order to successfully carry out the plan, relevant parties agreed to choose three-star hotels upwards and luxury restaurants in five central districts to pilot the program. At the same time, the program will select kitchens in school system to deploy. In order to fight unsafe food, there should be measures to multiple clean food supply model. It is high time that tighter control on food input should be applied to drive back low quality products. This is also a way to support and create fairness in producing and trading qualified products, ensuring food safety, said Ms. Lan. Sharing the same point of view, Ms. Nguyen Thi Anh Hoa, deputy head of the Department of Tourism, said that there are more than 3,000 accommodation facilities for tourists in the city. Therefore, the demand for clean food is fairly high. Initially, firms might cope with difficulties in selling prices so they should study thoroughly about cost prices and set out a suitable price adjustment scheme. As for processed food, firms should invest more in packing and design so as to compete with their counterparts.